The loss of teeth can happen for any number of reasons. Whether the result of serious decay or an injury, the tooth that was lost left a gap between teeth that needs to be addressed. While the loss of some teeth may not have an immediate impact on your smile they can have an impact on your bite. You may find that you avoid chewing on one side, and inadvertently cause more pressure on the other. This can lead to more wear and tear on those teeth.Beyond this, missing teeth can also lead to the shifting of the remaining teeth. A dental bridge can help to resolve some of these concerns. 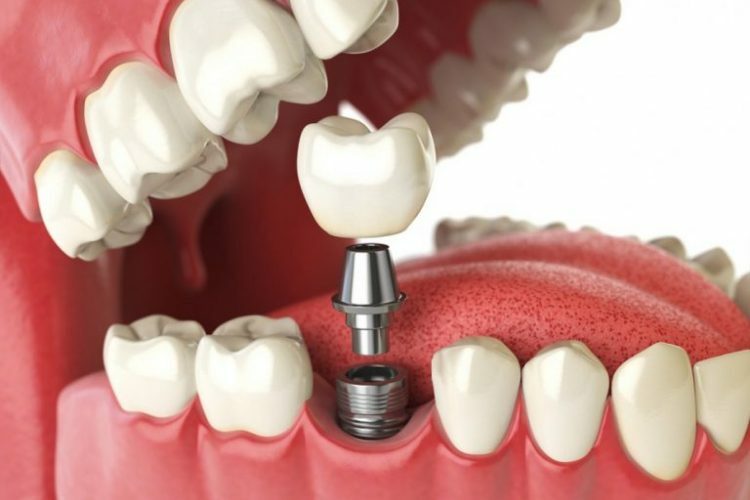 Dental implants are a good solution for the replacement of missing teeth. They are not always the right option for all patients however. 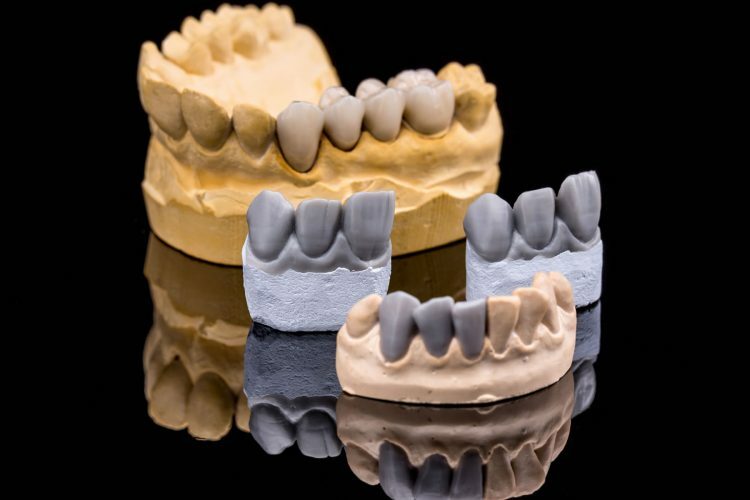 When you look at a dental bridge vs. implant, the decision will be based upon the unique needs of each patient. Bridges are just what they sound like. They are dental prosthetics that bridge the gaps left behind by missing teeth. 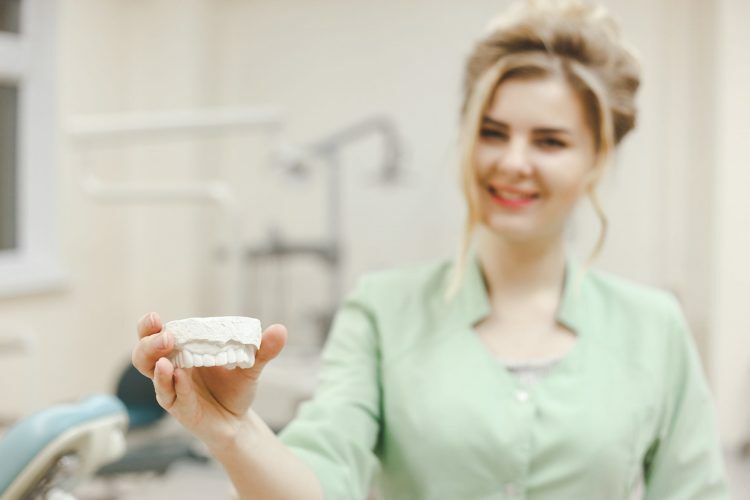 Fixed dental bridges can restore dental health, function and strength to the mouth.Unlike their counterparts of the past, modern dental bridges offer as many aesthetic benefits as they do oral health benefits.Bridges can be made from any number of materials. They could include porcelain, Zirconia, and porcelain fused to metal. What are bridges used to treat? Simply put, a tooth bridge is used to replace a missing tooth or multiple teeth. 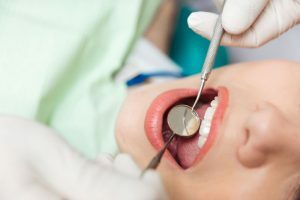 A fixed bridge is a permanently affixed dental solution that can restore a smile and also restore a comfortable bite. A temporary dental bridge may be used before permanent implants can be considered, and can be used while waiting for your permanent bridge to be made. What is the process of being fitted for bridges? 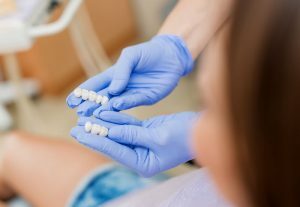 There is a bit of preparation that needs to be done before you can be fitted with your dental bridge. If you have healthy teeth on each side of the missing tooth or teeth, your dentist will prepare them to be the solid foundation for the bridge. If you do not have healthy teeth, or sufficient teeth to offer support for the bridge, then dental implants may be the solution that works best for you. The implant will act as an anchor for the tooth bridge. Your dentist will take an impression of your teeth. These are sent to the laboratory so that a custom-fitted bridge can be made. A temporary bridge may be placed. Once your permanent bridge is ready you’ll return to the dentist chair. Here your dentist will remove the temporary bridge and set the custom bridge in place. The bridge will be permanently affixed to your healthy teeth or to the implants that you had inserted. In just two visits you can restore your smile with the easy dental bridge procedure. What are the advantages and disadvantages to bridges? Dental bridges offer a number of advantages. They can help to improve your bite, while reducing wear and tear on your surrounding healthy teeth. They can help to keep your healthy teeth from shifting around in your mouth. Very often teeth will move into those spaces created by missing teeth. This can create a host of additional dental concerns that could have been quite simple to prevent. Bridges can last for many good years. With proper care and treatment, bridges can last up to a full decade. Bridgework should be brushed and flossed just like natural teeth. 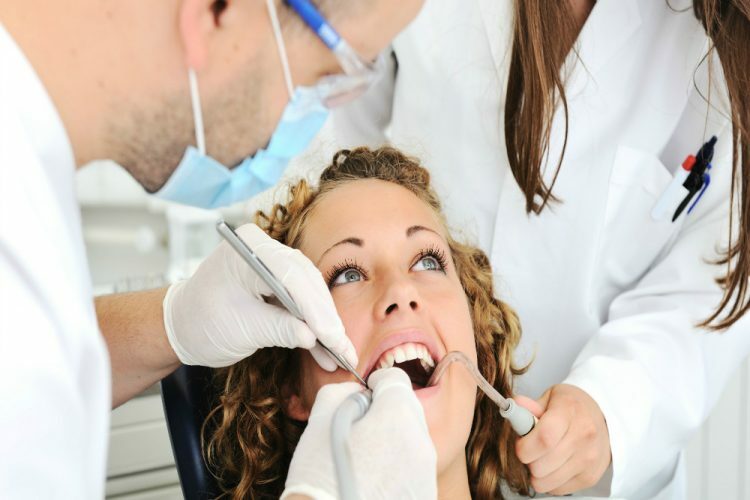 At your routine checkup appointments your dentist can inspect your bridgework for any cracks or other damage. 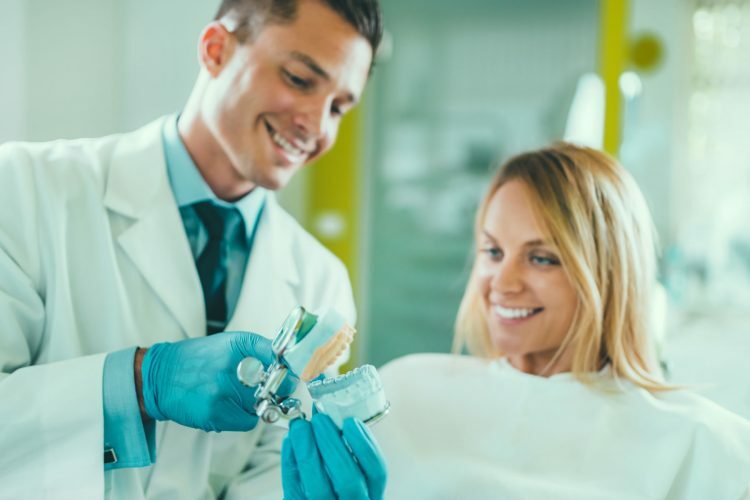 A Dental Bridge can be a more budget friendly option over a mouth full of implants, and can work well with both your healthy natural teeth and selectively placed implants. They are a good option to consider when you are in need of replacing multiple teeth in your mouth. 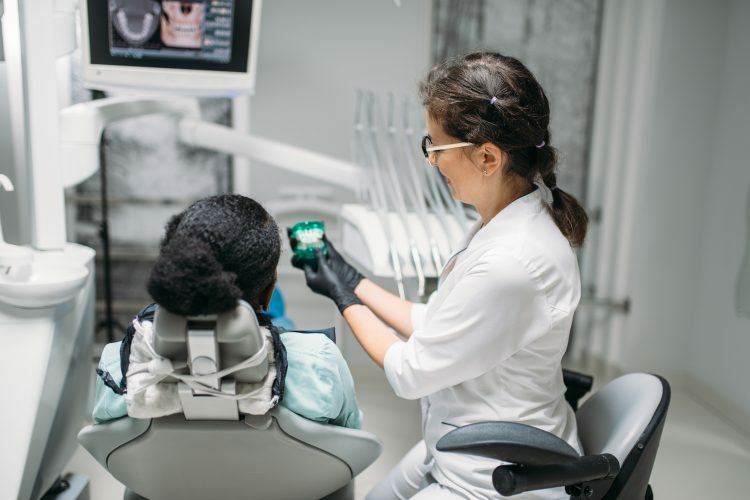 If you’re looking for dental bridge costs and the costs of other dental treatments, then you’ve come to the right dental clinic. At Crown Dental we offer years of experience, with a compassionate touch. Our wide range of dental treatments will help to maintain the dental health of our patients. 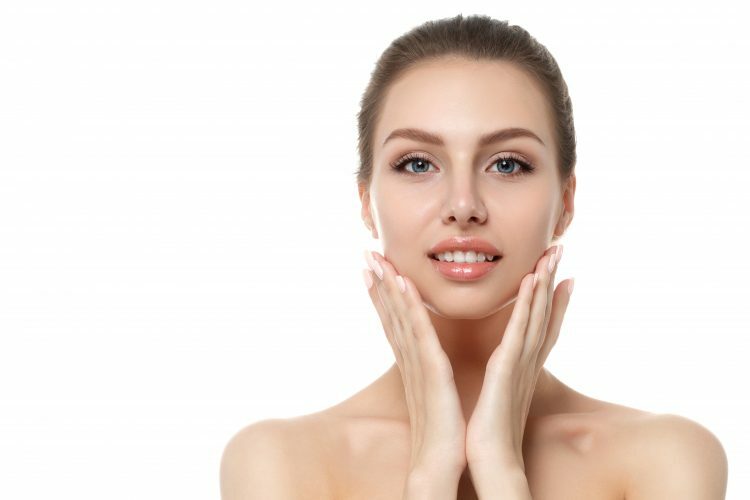 We offer competitive pricing on all of our treatments, including bridges. See our listed prices below or call the clinic to find out more information. If you are missing one or more teeth, the sooner you act the better. This will avoid bone regression as well as the other teeth moving. The treatment options are dental implants, dental bridges and dentures. Fear of the dentist is the number one reason that adults put off seeking out dental treatments. This often results in simple issues becoming emergencies due to delayed treatment. We are experts in treating nervous patients at Crown Dental. Ready to get started with Bridges? Are you ready to restore your radiant smile? Call our clinic at (01) 490 4656 to book your appointment. You can also book your appointment online. We offer many treatment options to help you restore and maintain your good dental health.